This post is brought to you by Spin Master. We were sent the game for our honest experience. 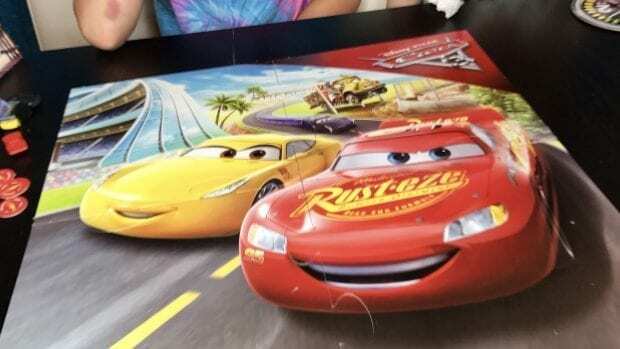 Have you taken your family out to see Cars 3 yet? 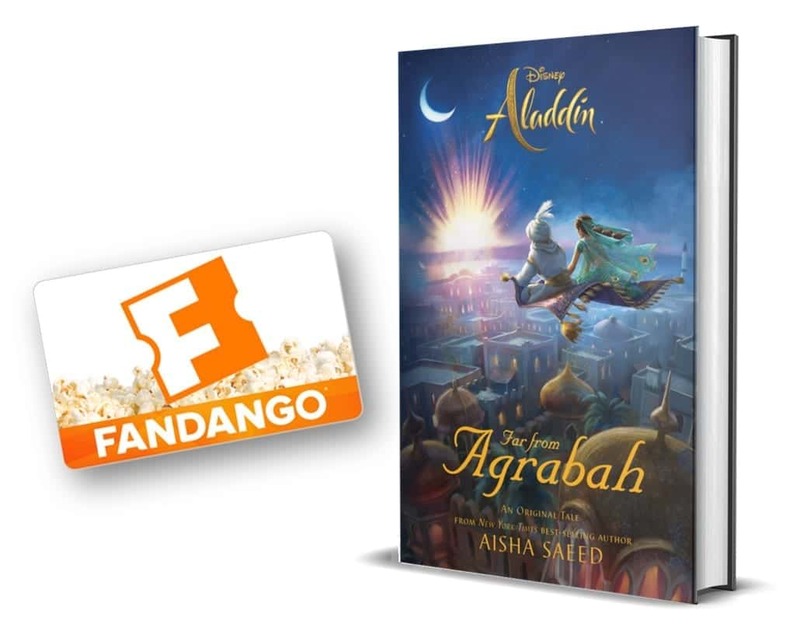 We are still excited about how great the movie turned out. 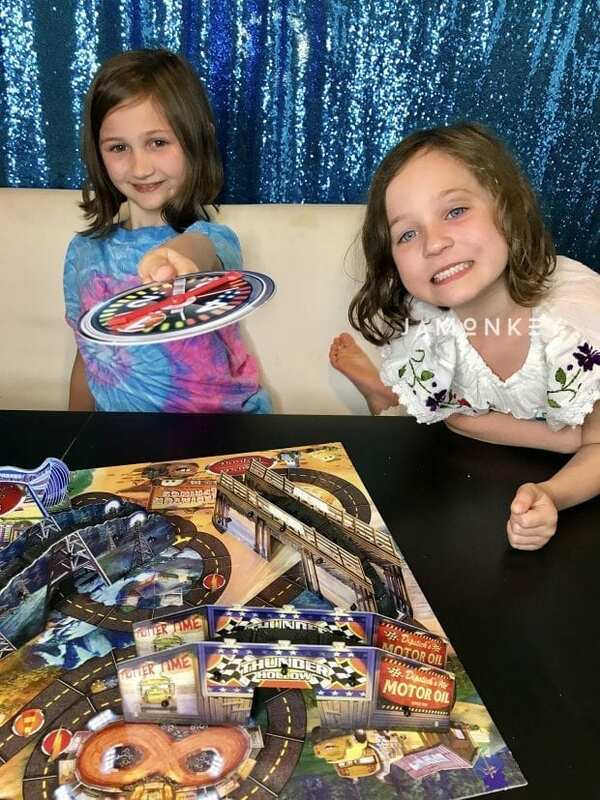 Spin Master sent us their new Cars 3 Risky Raceway game to try out and the girls think it is a blast. 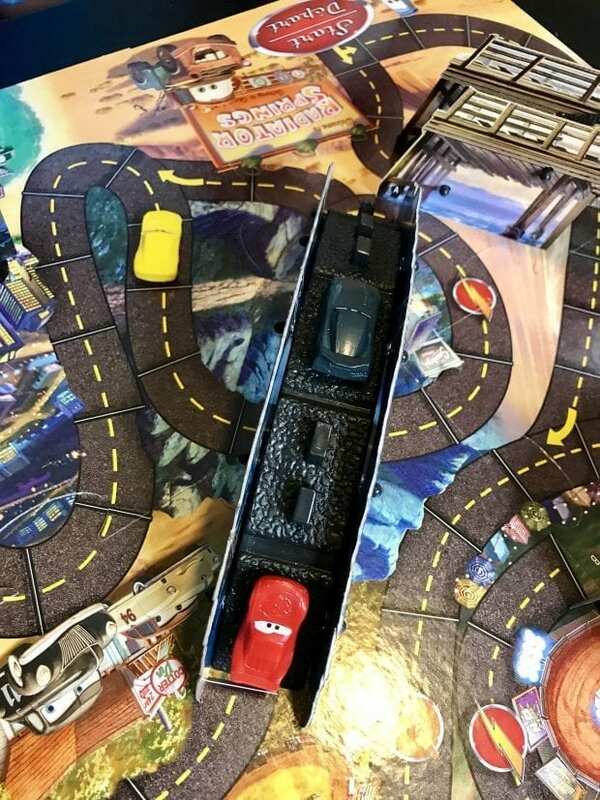 The game is designed to be a look at the Cars 3 movie, so it goes through areas that you will see in the movie. Check out our video below to get a full glimpse at the game and how to play. 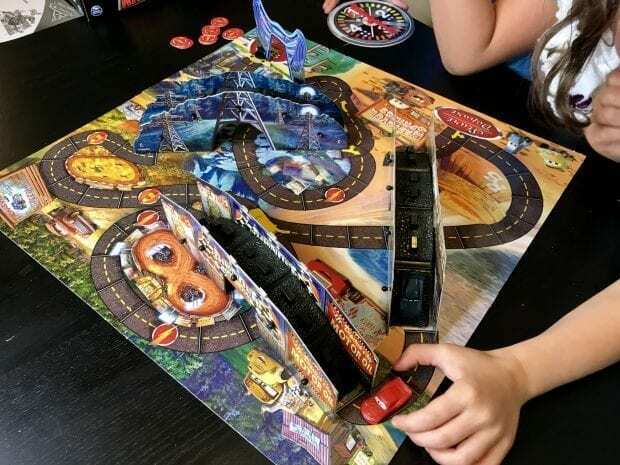 Cars 3 Risky Raceway is a 2-3 player game good for ages 5+. It has actual bridges that you can drive over and the little car pieces won't slide off. You can play as Lightning McQueen, Cruz Ramirez, or Jackson Storm. There are shortcuts or you can take the long way to earn training tokens that help you out further into the game. A Hazard Space with a cone on it keeps you there until you can turn in a training token that you earned before or by spinning a 1 on the spinner. The girls had a lot of playing. I wish there were more players available for the game so that we could all play as a family but we may try to create our own little games pieces. Maybe a Miss Fritter or Smokey is in order! Here is a look at the full game board with the three bridges, tokens, car pieces, and spinner. Another cool feature of the game is that on the other side of the game you will find a movie poster puzzle! Spin Master Games like Risky Raceway and other Cars 3 toys are available now at Walmart, Toys”R”Us and Amazon.